When it comes to buying your dream home, it’s important to remember that it may be just that - a dream. For this reason, it’s crucial that you make the most of your final inspection. If there is one rule to consider when completing your final inspection, it’s that you should always speak with and consider hiring a professional property inspector. This is the case even if you are one yourself. Why? Because even if you are a licensed inspector there could be items which you miss or even items which you overlook because of an attachment to the property. Of course, this doesn’t mean that you get to sit at home and let them do all the work for you. When it comes to a final property inspection, the more eyes the better. Or, more importantly, the more eyes looking for the right things, the better. 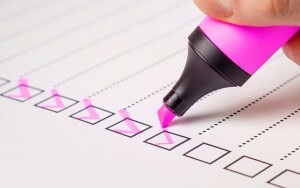 Below is a list of items from Riva Title Company to include on your final property inspection checklist. While walking around the property during your inspection time, be sure to keep your nose alert for any pungent smells. The most common problem to sniff-out for is mold growing in the walls. However, on the flip side, the smell of fresh paint in a particular area of the home can also indicate that something was recently repaired. Whatever the small, if you think it’s curious, follow it up. Often overlooked because of either size or inconvenience, there is a treasure trove of problems which can be present in any yard which would be easily discovered with a visual inspection. For this reason, make some time to take a thorough walk around any yard areas of the home and look out for any problems, such as irrigation blockages. There are a few items which a property inspector won’t inspect, and the foundations of a home are one of them. Either employ a professional to perform the task or get under the house safely and take a look yourself, inspecting for any cracks or abnormalities which could spell troubles in the future. Buying the right house isn’t always the easiest task, but protecting yourself financially with title insurance in Coral Gables, FL is. Speak with Riva Title Agency at 786-787-7888 to find out more about how title insurance in Coral Gables, FL can protect the ownership of your dream home’s title. Second on the list of items your inspector won’t look at is the roof. For this, be sure to speak with a professional and arrange for them to attend. The reason why it is so important to have your roof inspected as part of the process is that it takes only the slightest leak or broken tile to cause serious problems in the future. Always check the roof of any home before you sign. If your plan to live in an area which will see you live through extreme temperatures then you will want to be sure that any and all included climates control appliances are working correctly. This means taking the time to turn it on, change the temperature, and test any other features it includes to ensure that it works. Remember that, once you sign the paper, if it stops working then it’s your responsibility. As much as we all enjoy being scared from time to time, the truth is that horror films have made us all afraid to go into your basement or attic. When it comes to your final inspection, be sure to take some backup support with you and a lot of lighting (people in the movies always forget lighting) and inspect every aspect of the basement and attic. The reason is similar to your roof, in that the smallest problem or leak in either of these spaces can quickly lead to major damage. If you are lucky enough to be inspecting a home with a chimney then you will want to make sure that it’s clean and that it works. This is a task which your property inspector can complete but it also one which you should look into if only to see what a clean chimney looks like when it comes times to clean it yourself. If you see any blockages in the chimney then you should consider it to be not working and take it up with the seller before signing any paperwork. If you are in the process of inspecting your dream home then don’t forget to take out a policy for title insurance in Coral Gables, FL. Available only prior to settlement, title insurance in Coral Gables, FL provides financial protection against any claims made against the ownership of your property. Speak with Riva Title Agency today at 786-787-7888 to find out more.